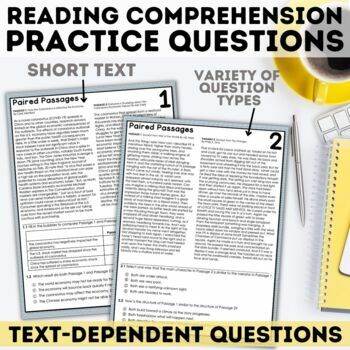 These 10 comparing texts task cards are perfect for FSA test prep or standardized test prep. 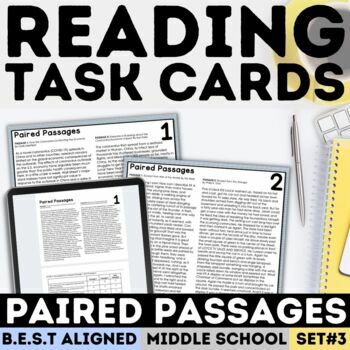 The task cards each pair together either a fiction excerpts from popular youth novels on similar topics, same subject information texts (hot topic articles) or pair a fiction excerpt with a poem. 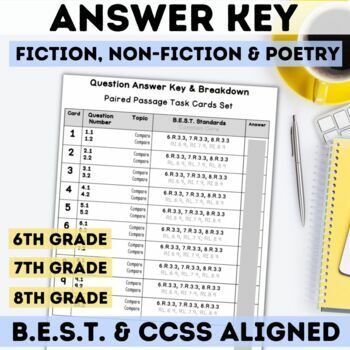 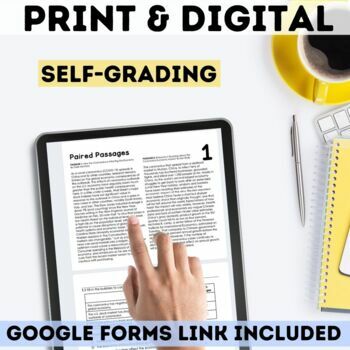 The paired passages with multiple choice questions will help engage your students as they practice answering a variety of questions that compare two texts.